The Alpaca (Vicugna pacos) is a domesticated species of South American camelid. They originate from Peru, Bolivia and Chile. It resembles a small llama. Alpacas are considerably smaller than llamas, and unlike them are not used as beasts of burden but are valued only for their fiber. Alpaca fiber is used for making knitted and woven items, much as sheep's wool is. These items include blankets, sweaters, hats, gloves, scarves, a wide variety of textiles and ponchos in South America, and sweaters, socks, coats and bedding in other parts of the world. The fiber comes in 22 colors as classified in the United States with many varying shades. Alpacas and llamas differ in that alpacas have straight ears and llamas have banana-shaped ears. Aside from these differences, llamas are on average 1-2 feet taller and proportionally bigger than alpacas. There are 2 types of alpacas, Huacaya and Suri. Alpacas have been domesticated for thousands of years. In fact, the Moche people of Northern Peru often used Alpaca images in their art. There are no wild alpacas. The closest living species are the wild Vicuna also native to South America. Along with camels and llamas, the Alpaca are classified as camelids. Larger than the wild Vicuña, the Alpaca is smaller than the other Camelid species. Of the various Camelid species, the Alpaca and Vicuña are the most valuable fiber-bearing animals: the alpaca because of the quality and quantity of its fiber, and the vicuña because of the softness, fineness and quality of its coat. Here in the United States alpacas are bred exclusively for their fiber. Alpacas are social herd animals that live in family groups consisting of a territorial alpha male, females and their young. In the United states the males and females are separated in their own pastures. They are gentle, elegant, inquisitive, intelligent and observant. As they are a prey animal, they are cautious and nervous if they feel threatened. They warn the herd about intruders by making sharp, noisy inhalations that sound like a high pitch burro bray. Due to the soft pads on their feet, the impact of a kick is not as dangerous as that of a hoofed animal. 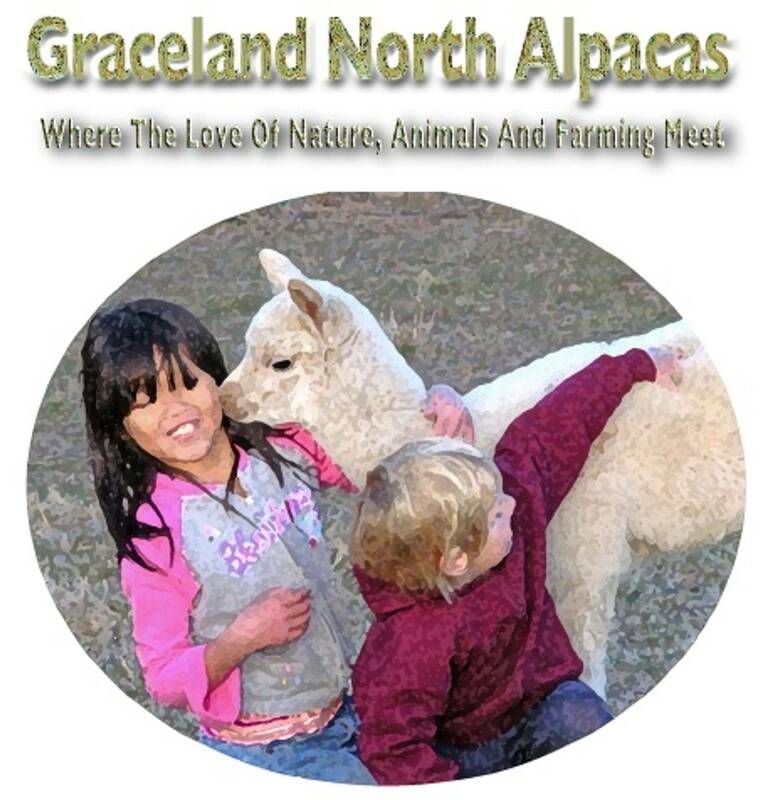 Alpaca fleece is a light-weight, lustrous and silky natural fiber . While similar to sheeps wool in that it is a natural fiber, it is warmer, not prickly, and bears no lanolin which makes it hypoallergenic. It is also soft and luxurious. It is hollow as well, which makes it a good insulator. The preparing, carding, spinning, weaving and finishing process of alpaca is very similar to the process used for wool. They are shorn once a year.